MOVEHUT makes finding a commercial property to rent or buy in Southampton easy, with our vast range of properties. You might want to find an office space in Southampton to expand your business. You might just want just a small property in Southampton that will be perfect for your business. With MOVEHUT it won't matter what you need, as we have enough choices of commercial properties to buy or rent in Southampton, so you should easily be able to find your ideal property. Southampton is a city and port in the south coast county of Hampshire. 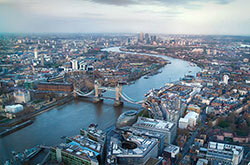 It is a vibrant, modern city that bears comparison with many of the best in Europe. With new commercial property developments already underway or in the pipeline, Southampton is an increasingly attractive location for business and leisure. If you're looking to find a commercial property in Southampton to rent or let, then MOVEHUT is only too happy to help you. When it comes to rental choices you will be able to find a lease or license term that is perfect for you. Get your property search started on the right track in Southampton by browsing and refining your search with MOVEHUT. Begin your commercial property for sale search in Southampton with our property listings. We have many options to narrow down your search, making it easy to find the property you need. You can narrow your Southampton commercial property search down by simply specifying the category or distance from the area desired. So don't delay, let MOVEHUT help you find your new Southampton property today. There are many different types of commercial property to be found in Southampton. MOVEHUT lists all the best commercial properties in every category, healthcare premises being just one example. We also provide the option for you to buy or rent plots or land in Southampton. So search our website today to find a commercial property that will suit your needs. No matter how confident you are about buying a commercial property, it's always good to have a little advice, which is why MOVEHUT have included some useful tips. Our tip number one would be to keep in mind hidden costs related to any property you're considering. Another significant factor to bear in mind is that you won't be able to change the location of your property in Southampton once occupied, so choose wisely. So keep our tips in mind, and you can find that elusive dream property in Southampton. Southampton is one of the largest cities in the south east. It is a cosmopolitan city with an estimated population of 239, 700. The most recent statistics reveal that Southampton is becoming increasingly diverse. The non-white population now stands at 13.1%. The largest ethnic group among this minority is Asian and British Asian, making up 6.4% of Southampton's population. In common with many modern UK cities, the economy of Southampton is dominated by the service sector. Of the total businesses operating in the city 32.4% are involved in banking, finance or insurance. Distribution, hotels and restaurants account for a further 28.7%. Southampton has a history of innovation. The Spitfire, the Hovercraft and Fibre Optics were all developed in the city. Today that culture of innovation extends to a diverse range of industries including biochemistry and semi-conductors. Southampton rewards investment and provides support and an excellent choice of office and other commercial space for start-ups and businesses planning to relocate to the city. Specialist commercial property developments such as Southampton Science Park and the Innovation Centre provide first class accommodation for knowledge based industries. Southampton remains the largest freight port on the South Coast and a base for cruise liners. Part of the old docks has undergone major regeneration and is now home to a number of mixed use property developments. Southampton is a popular destination for students, offering a superb environment for study and research. Southampton is also home to the National Oceanography Centre. There are two providers of higher education in Southampton. The University of Southampton is one of the top 15 research led higher education institutions in the UK and is positioned in the top 80 in the world. Southampton Solent University is renowned for the research and consultancy it carries out on behalf of business. Together they have a student population of around 42,000. Southampton City College is the chief provider of further education. Southampton has 10 secondary schools and 24 primary schools. There is also a choice of academy schools. 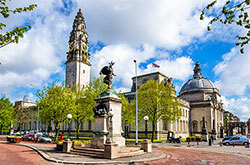 Southampton is a unitary authority administered by Southampton City Council. The city is represented in parliament by 3 MPs. Southampton lies in the Hampshire Basin on the South Coast of England. The city's sheltered location makes it one of the warmest and sunniest in the Britain and holds the record for the highest temperature ever recorded in the UK. Southampton is a major port but with the exception of the Isle of Wight ferry it no longer operates services to the continent. 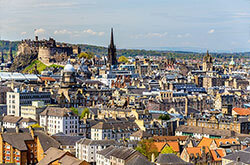 However the city has excellent local and national links. Although there are plans for a tram network, busses currently provide the principle means of local transport. There are also local rail services linking the city centre with the suburbs. The M27 and M3 link Southampton to the motorway network. Southampton Central provides mainline services with direct links to many destinations. Southampton Airport serves 1.8 million passengers a year and this is forecast to grow significantly over the next twenty years. It is linked to the city by a frequent bus and train service. Southampton FC represents the city in the Football League playing its home games at St Mary's Stadium. Hampshire County Cricket Club is based close to the city. Southampton is also home to the world's oldest bowling green. Southampton has undergone significant culture led regeneration. The city's cultural quarter is rapidly expanding with plans for a complex of art studios and gallery space in the pipeline. There are also a range of other attractions including shopping and theatre. Southampton's retail district includes several indoor commercial property developments such as the 800,000 square foot West Quay Shopping Centre. However the council is keen to ensure that the city centre is not populated entirely by high street chain stores and has created a designated speciality shopping district providing an eclectic mix of outlets. There is a diversity of entertainment in Southampton. Visitors can enjoy theatres, museums and sightseeing before relaxing in one of the city's many clubs, bars or restaurants. The Southampton Daily Echo is the city's principle newspaper. BBC South has its regional HQ in Southampton and there are a number of local radio stations. The Guildhall and the Mayflower Theatre are Southampton's principle live music venues for both pop and classical music. There are also a number of smaller venues catering for a variety of tastes. The two leading theatres in Southampton are the Mayflower Theatre and the Nuffield Theatre. The Mayflower is the largest theatre in the south of England and the Nuffield frequently presents award winning performances. Southampton has a number of excellent museums including the Tudor House Museum and the Maritime Museum. City Art Gallery has 3,500 works covering the history of European culture. In addition the city's historic Bargate has been refurbished to serve as a contemporary art space.